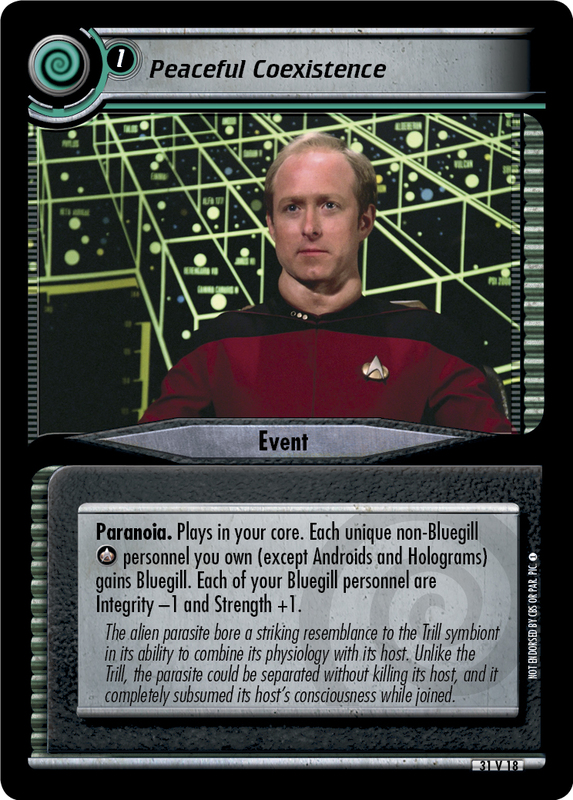 Paranoia. Plays in your core. Your ships may not move to or from Earth. 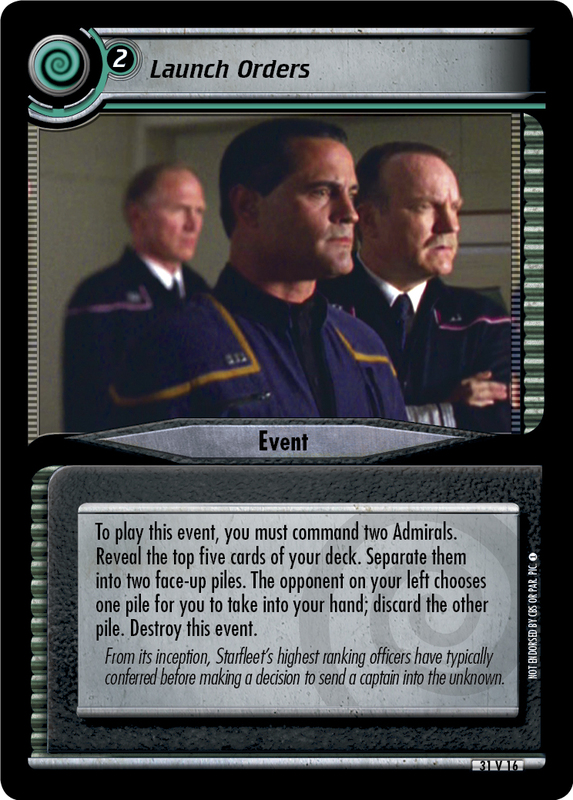 Order - Stop your personnel at your Earth to draw a card (limit three per turn). 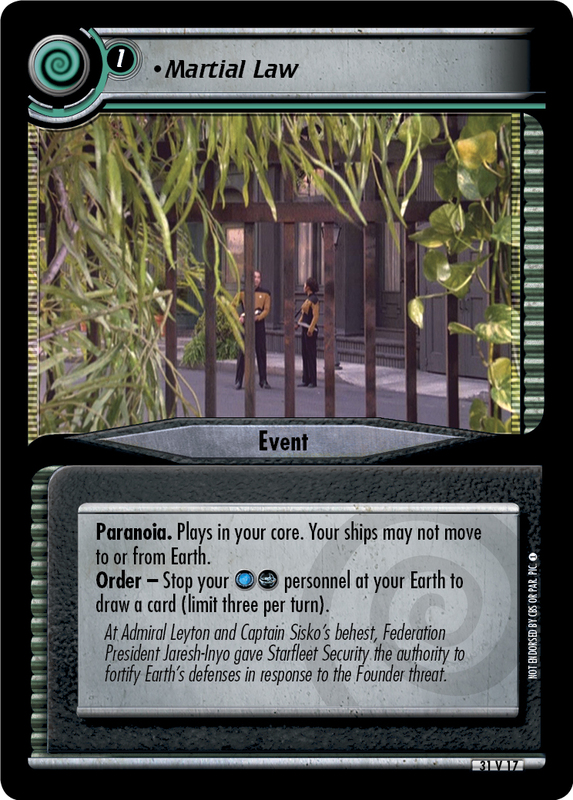 At Admiral Leyton and Captain Sisko's behest, Federation President Jaresh-Inyo gave Starfleet Security the authority to fortify Earth's defenses in response to the Founder threat.